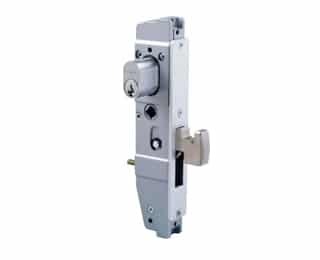 These commercial mortice locks are suitable for heavy duty use in industrial and commercial buildings, institutions, clubs, schools, hospitals, hotels, retail and similar buildings. 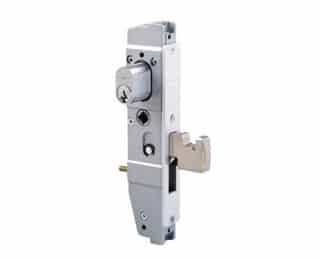 All 3540 Series cylinder Mortice locks are built of the finest materials, with easy action and solid feel of the worlds finest locks. Positive action deadbolt locked or unlocked by either key, turnknob, escape turn or handle. Suitable for sliding doors where lock can be mounted to door jamb and deadbolt engages strike mounted to fact of door. Short backset, swing bolt deadlocks suitable for narrow style sliding and swing doors. Positive action deadbolt is hooked to engage and lock into a latching or security strike when the bolt is in the thrown position. Deadbolt is locked or unlocked by either key, turnknob, escape turn or handle. Short backset, swing bolt deadlocks suitable for narrow style sliding and swing doors. Deadbolt is locked or unlocked by either key, turnknob, escape turn or handle.